The last time Katrina Delaney saw Jack Fairley was the morning after a one-night stand, when she discovered he was engaged to be married. Seven years later, she dreams of a missing boy – Jack’s son. Katrina has worked with police to find missing children before, and she knows she must help. But seeing Jack again comes with its own set of dangers, and Katrina fears the risks she is taking with her heart. Jack Fairley’s standing in the community can’t keep his son from wandering off during a country rodeo. Frantic with worry, Jack is willing to do anything to find him, even put aside his scepticism and accept the help of a woman who sees his son in a dream. But when that woman turns out to be Katrina Delaney, he’s immediately suspicious. Neither Katrina nor Jack have any reason to trust each other, or the attraction that flares between them again. But trust they will have to, if they want any chance at love. 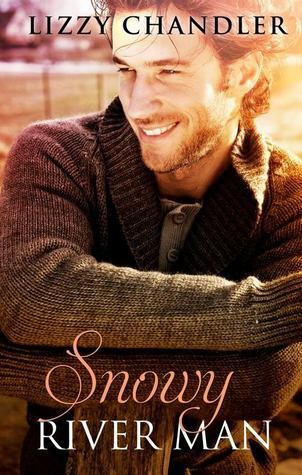 Snowy River Man is the first published novel by Lizzy Chandler. I enjoyed it on the whole and look forward to any more books that she might publish. I really liked the writing, the sensory details that brought Outback Australia to life. It was very easy to visualise and imagine the landscape and characters. There was an interesting array of characters - Katrina and Jack of course, Nick a young boy who goes missing and hankers for his mother. An older man who lives in a run down cottage and an imperious but old lady Mrs Harrington who reminded me a little of Elizabeth Bligh in the Australian TV series A Place to Call Home. The wisdom of the old man Murray Tom who said "Be afraid, and you'll find things to fear. But look with love..."
I was not so sure about the various mix ups and the way the wool was pulled over Katrina's eyes. I accepted it for the sake of the story but I wasn't at ease with it. I loved parts of this story and other parts just not so much. Perhaps I am not a natural believer in psychics, so that didn't help. It was worth reading and while I have reservations, I did enjoy this novella. The guy on the cover is a cutie! I'm glad you enjoyed the story overall. Diana the cover is totally gorgeous.